Little, Brown and Company, 9780316553209, 224pp. Alicia Drake, author of the critically acclaimed biography The Beautiful Fall, evokes contemporary life in the City of Lights lavishness of Edward St. Aubyn and the sophistication of Julia Pierpont's Among Ten Thousand Things. 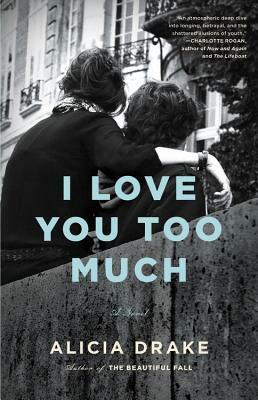 I Love You Too Much is a novel of extraordinary intelligence and heart, a devastating coming of age story told from the sidelines of Parisian perfection. Seeking solace in an unlikely friendship with rebellious classmate Scarlett and succumbing to the temptation of the numerous patisseries in his elegant neighborhood, Paul searches for unconditional love. But what will he do if he can't find it? Paris is haunting, and her writing soars."